The Memphis Egyptians collapsed in the final three weeks of the 1907 Southern Association race. After leading the league from the beginning of the season, poor play in the last weeks led to them being overtaken by the Atlanta Crackers. Vague rumors circulated that Memphis might have thrown the race—but became a full blown scandal on June 2 of 1908 when the rumors became formal allegations. Stocksdale alleged that he had been forced to pitch while he was sick and that players were instructed by the manager “Not to win games.” Stocksdale charged that Babb, who also played 3rd base, had deliberately misplayed balls during games in Nashville. “Every word of this charge is true, and, what is more, I am going to prove the correctness of what I say and by affidavit…I am not going to stop, now that I have started, until this thing is given to the public and Babb gets the punishment he deserves. The thing was done in order to make a closer race for the flag and get the money in the gates. Stocksdale also claimed that two additional players Richard James and Robert “Nick” Carter could, and would corroborate the charges. Atlanta Mayor Walthall Joyner asked Southern Association President William Marmaduke Kavanaugh for an immediate investigation. A hearing was scheduled for the following week in Memphis. Stocksdale promised to make his case. Stocksdale blamed reporters for misquoting him. The Memphis club presented their case which included live testimony and dozens of statements refuting the charges, including one from Nick Carter, who Stocksdale had said would affirm his allegations. 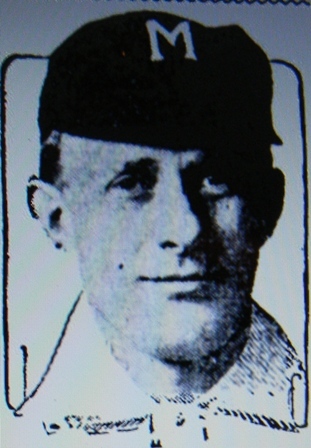 It was speculated that 36-year-old Stocksdale’s career was over, and that even if he did manage to play again that he would be blackballed from the Southern Association; however, when the suspension was lifted before the 1909 season after a petition drive that collected more than 1000 signatures in each Southern Association city, Stocksdale returned to the Sea Gulls and stayed in the league through the 1910 season. Stocksdale finished his career as a player-manager with the Lynchburg Shoemakers in the Virginia League in 1912. 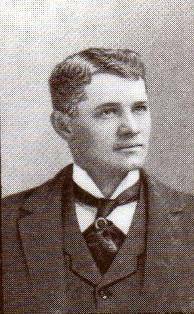 Babb remained as manager of Memphis until 1910 and continued managing in the minor leagues until 1913. An interesting Postscript involving Atlanta Manager William Smith who vigorously defended Babb and insisted Stocksdale’s allegations were false. After leading the Crackers to another league title in 1909 Smith was fired. The deposed manager claimed the reason for his firing was his refusal to rein his team in the final weeks in order to increase gate receipts. Smith’s complaint was dismissed by the league.